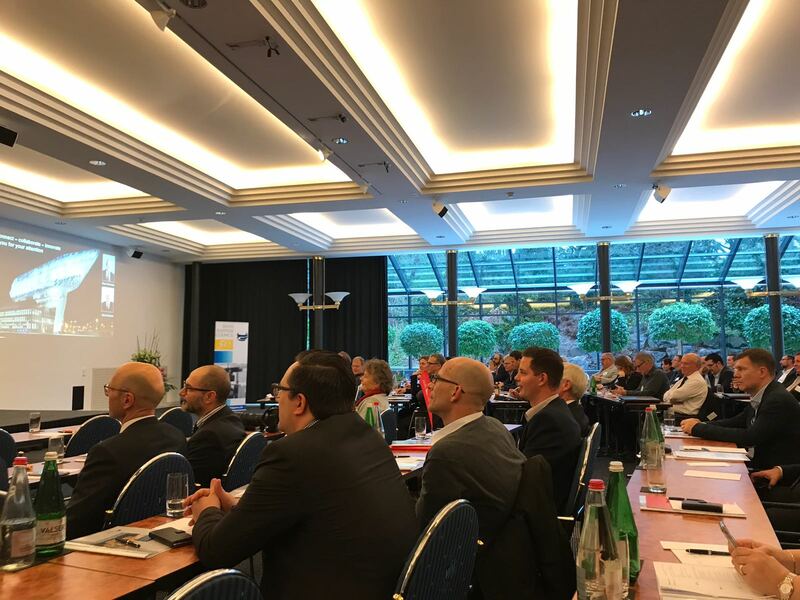 Contship Italia Group’s Daniele Testi, Marketing and Corporate Communications Director, took part in the latest edition of the Seafreight Seminar by the Swiss Shippers’ Council, which was held in Interlaken from 1 to 2 February 2018. Daniele Testi took the opportunity to explain a broad audience that comprised shippers, forwarders, shipping lines and transport companies the importance of balancing supply chain risks by using the Southern Gateway as an alternative when routing cargo from Asia to Europe or to the USA. The opportunity to save on inventory costs was of particular interest to the Swiss audience. However, participants were keen to learn about some other benefits of the Southern gateway option, too. As Europe’s largest ports are facing heavy congestion in terms or barge, train and truck handling, having a smart alternative in place is urgently needed. As Mr. Testi highlighted, this requirement was once again proven by the recent rail disruptions following the event in Milano in late January 2018 and Rastatt in August 2017. “It is true, problems can happen everywhere. But to be able to deal with them effectively and offer solutions swiftly is what makes the difference”, Mr. Testi illustrated. At present, the balance between the market share of Med Gateways and North Gateways stands at about 30/70 per cent. However, once the final part of the New Rail Link through the Swiss Alps (NRLA) as part of the Rhine-Alpine Corridor will have been completed, this balance, according to Ocean Shipping Consultance, could even shift to about 45/55, most importantly due to better connectivity. On top of that, with a further improved frequency of rail connections and thus reduced logistic transport costs from/to Southern Gateways, the balance is potentially shifting to 60/40 in favour of Med ports, as industry analysts have claimed recently at Intermodal Europe in Amsterdam. This forecast may have come as a surprise to some Swiss shippers – but the number of companies that benefit from Contship’s alterative Southern gateway is steadily increasing as well as the frequency of rail connections between Melzo and Frenkendorf now available with 5 RT per week.